Camping on Lake Idro - looking for campsites? Search here! The spectacularly placid and peaceful waters of Lake Idro are the ideal holiday option for the entire family. Offering splendid beaches, amazing views of nature and a host of camping sites, this location is not to be missed. Make the time to speak with a representative from LUX-Camp to learn more about what this site has in store. 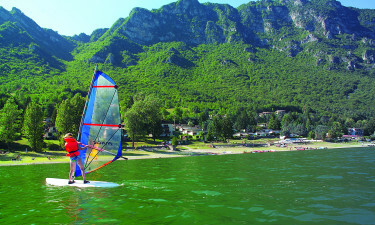 What Makes Lake Idro and Ideal Camping Destination? Camping venues that offer luxury tents, bungalow tents and mobile homes. Access to amazing freshwater beaches. Summers defined by warm days and comfortable nights. Succulent foods and world-famous wines. 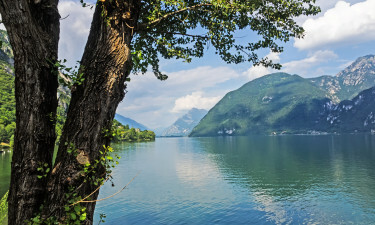 Tourists have enjoyed Lake Idro for centuries due to its temperate climate and the enchanting possibility of swimming in crystal-clear waters. Today’s tourists find the quality camp sites in close proximity to this lake’s shores a great appeal. This family-oriented destination is certainly not to be missed by anyone who is looking to escape the doldrums of northern Europe. Anyone who has been searching for a luxury camping experience should make it a point to experience the splendour found at Rio Vantone. No less than 220 individual pitches are provided as well as mobile homes, caravans and bungalow tents. On-site entertainment is available while activities such as golf and tennis are found only a short distance away. Indoor play facilities are provided during inclement weather and four individual washing cubicles can be enjoyed for an extra sense of privacy. There are four separate beaches to be found along the lake and each is located quite close to local communities. 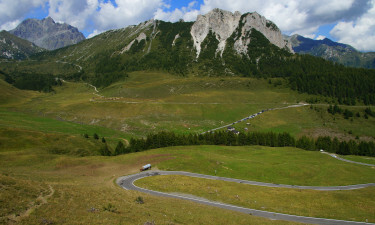 Venturing a bit further outside affords some wonderful hiking, bicycling and climbing opportunities. Excursions upstream of the river Chiese are additional possibilities. There are also many other nearby pre-Alpine lakes to explore by those who arrive here by car. While the lake is certainly not to be missed, there are other attractions which will leave lasting impressions. The Passeggiata Kurpromenade boasts wonderful views of the lake while there are a number of spots ideal for a family picnic. Those who have a taste for freshly baked bread should make it a point to visit Panetteria Perolini. Art fans are often attracted to the sublime works found at the Mueso di Salo. 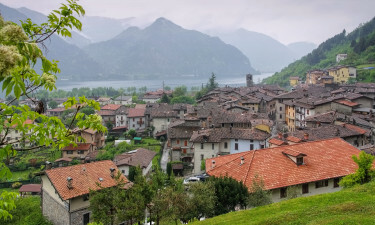 Lake Idro and the surrounding areas are known for their ability to combine a Mediterranean diet with amazing local dishes such as meats, pastas and (of course) pizzas. This region is also famous for its red and white wines; perfect for any meal. Such a traditional culture is extremely affable while many of the locals speak at least a modicum of English. LUX-Camp is always pleased to provide additional information upon request.